Singer; pro-seminar in vocal performance; vocal literature; opera literature; music literature. Plantamura graduated from Occidental College and was an original member of the Rockefeller-funded Creative Associates at SUNY Buffalo under the direction of the composer Lukas Foss. She spent twelve years in Italy and performed in virtually all of the important concert venues in Europe as well as in Australia, New Zealand, Japan and the United States. Her primary performance interests are 17th and 20th Century vocal music. 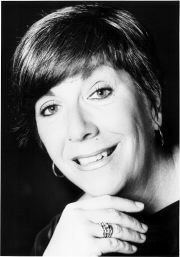 As a soprano, she has performed throughout the world and recorded a great deal including recordings on Wergo, DGG, 5 discs of Contemporary American music for CRI, 6 records of 17th Century Italian music for "Italia" Fonit/Cetra; and a record of 17th Century Italian music by Italian Women Composers for Leonarda. Soprano Plantamura has collaborated with many such noted composers as Pierre Boulez, John Cage, Luciano Berio, Pauline Oliveros, Betsy Jolas, Lukas Foss, Bernard Rands and Vinko Globokar. She was a founding member of Musica Elettronica Viva, Rome; Teatro Musica, Rome; 2e2m, Champigny (Paris); and performed many times with Nuova Consonanza, Rome, L'Ensemble Intercontemporain, Paris, as well as in opera houses and with symphony orchestras throughout Europe. She founded, and performed for 14 years with the Five Centuries Ensemblea group that specialized in 17th and 20th Century music. Plantamura is the author of the children's coloring book Woman Composers published by Bellerophon Books and The Opera Lover's Guide to Italy (due to be released late in 1995). She is presently writing The Opera Lover's Guide to ("Greater") Austria as well as The Opera Lover's Guide to Europe, due to be released by Citadel Press late in 1996. Her next project will be The Children's Guide to Italian Opera.